← Goodreads Giveaway of Book 3 of Davey & Derek Junior Detectives Series – The Case of the Magical Ivory Elephant! Blessings of the day to you and wishing you good luck always! Here is an interesting story about the origins of corned beef and cabbage that my friend, Steve, sent. With the recent St. Patrick’s festivities behind us, I can’t count the number of times I was told Corned Beef and Cabbage is not an Irish dish as if we who enjoyed it were being duped by store managers with an abundance of the stuff. I enjoyed telling them the truth only to see their eyes open wide and to know that the nex time they have it, they’ll think of us. In the Nineteenth century, the Irish tenant farmer had been forced to rely on potatoes as a main food since it produced the greatest yield per acre and most of the land belonged to English landlords. On special occasions one might enjoy a bit of bacon and cabbage with the potatoes, but potatoes were the staple. When blight hit the potato in 1845, it caused a major deficiency in the dietary staple and many were forced to emigrate to survive but that’s another story. Upon arrival in America without resources, they were generally forced to settle in the least desirable parts of the cities in which they landed. In New York this was the slums of the lower east side around the notorious Five Points. Unskilled and unschooled, they tried to scratch out a living and send a few pennies back to those they were forced to leave behind. Personal gain eluded them as prejudice and No Irish Need Apply signs hindered their climb to economic stability, yet they persevered and eventually succeeded against incredible odds. Among the hardships families had to endure in a slum environment was the lack of nourishing food. It was generally up to the mother to prepare a healthy meal for her family and in this situation, her ingenuity left us a tradition. In the mid-19th century, New York was a major port in the China tea trade. From 1841 through 1860, clipper ships dominated that trade. These were the fastest sailing ships in the world at the time. When fully rigged and riding a tradewind, they could reach speeds of more than 16 knots which meant that the trip to China and back would only take about nine months, depending on the route taken. However, an unlucky ship could spend an additional three weeks crossing due to Doldrums – a part of the ocean where they might encounter calms, squalls, and shifting winds. Carrying a crew of 50 to 60 men, the ships were originally provisioned before leaving New York with enough fresh water, flat bread, oats, coffee, rum, and salted beef to last until they reached China. After gastric complaints about re-provisioning in China for the trip home, many began to carry double provisions for the round trip. These always included a bit extra in the event of doldrums. Upon arrival back in New York, the excess provisions were generally dumped in the harbor for what else could one do with lumps of beef that had been soaking in brine for nine-months. It was then that coincidence and circumstance collided and the Irish mothers seeking nourishment for their families spotted the floating beef in the river and fished it out. Fortunately, before the advent of power boats, the river was cleaner then. They took it home and soon developed a method of preparing it so that their diet would have meat at least once a week – or at least when the ships came in. They would boil the beef to remove the salt, discard the water and boil it again. They found that repeating that process three times – once each for the Father, Son and Holy Ghost – would remove enough salt to make it palatable, however, while the salt was gone, so was the flavor! That’s when a head of cabbage was added. The last time the beef was boiled, it was boiled in water that had boiled a head of cabbage and a flavor was introduced to the meat. It didn’t take long for ship’s crews to realize there was a market for the old brined beef and returning ships soon saw women lining up for the leftover salted beef which was now sold at a penny a pound. It was a far cry from the bacon and cabbage they might have enjoyed in Ireland, but still it was a welcome dish. In later years, the dish became a traditional favorite for it brought back memories of a mother’s love although the modern dish is far more palatable than the one mom dragged out of the river. On Saint Patrick’s Day, many people enjoy corned beef and cabbage and some even believe it to be an Irish dish. In a manner of speaking it is, but it should not remind us of Ireland. Rather it should remind us of the ingenuity of Irish mothers, their dedication to their families and their determination to overcome any obstacles put in their path in caring for their families. It should also remind us of the hardships endured by our immigrant ancestors who persevered and overcame the difficulties imposed on them in a tenement slum to bring their descendants to a better life so that we could enjoy a dish of corned beef and cabbage in pleasant company and more enjoyable surroundings. There you have it! Now when you enjoy corned beef and cabbage just be thankful you didn’t have to pull it out of the river! Enjoy! 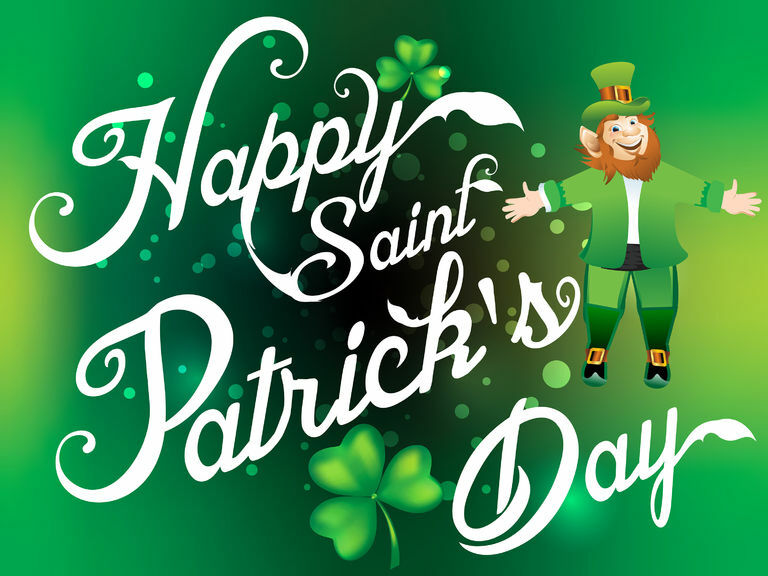 This entry was posted in Happy St. Patrick's Day, Writing, book reviews and publishing, poetry, children's books, YA and novels and tagged blogging, Happy St. Patrick's Day, Luck of the Irish. Bookmark the permalink. 8 Responses to Happy St. Patrick’s Day! A very happy St Patrick’s day to you too. Shared this to my Facebook as it is such a nice wish. A belated Happy St. Patrick’s Day, Janice. The origin of corned beef and cabbage was interesting. A big green thumbs up to the ingenuity of those Irish moms who came up with this delicious favorite.